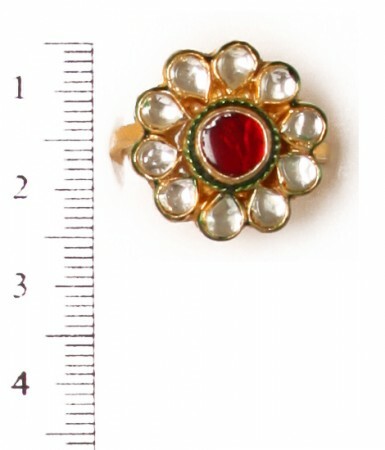 Indian in 22k gold plated with mild antique and maroon red and bottle green. Set with kundan stones. Ring is fully size adjustable Can be worn as toe ring also. Scale shown in image is in cm.